No. 221. On peace an' rest my mind was dent. 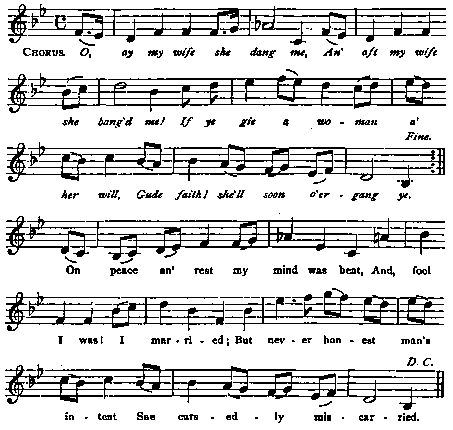 Tune : My wife she dang me Scots Musical Museum, 1803, No. 532. Gude faith I she'll soon o'ergang ye. My l pains o' hell1 on earth is past, I'm sure o' bliss aboon, man.